The liver is an important internal organ in the human body that carries out various bodily functions. It converts nutrients from food into hormones, minerals, and vitamins required by the body. It also produces bile required for fat and nutrients digestion. However, owing to different diseases, this extremely vital organ can experience severe damage. In extreme cases, a liver transplant may require. 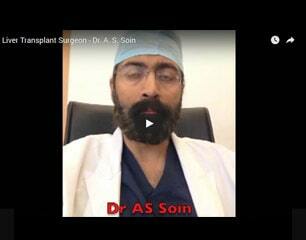 There are many hospitals that provide best facility for liver transplant in India. To carry out a liver transplant, only a certain amount of liver is needed which due to its regenerative property grows back into a fully developed liver. A patient is required to go through blood test along with a series of tests before the specialists decide on whether they need a liver transplant after reviewing the results of those tests as well as the medical history of the said patient. The condition of other internal organs like heart, kidneys, lungs, the overall immune system, as well as the mental condition of the patient, is also taken into consideration to determine, whether the patient is ready for the transplant and whether the liver transplant could be carried out successfully. The liver transplant involves two types of donor - one where the donor is alive and in other cases when a donor is a dead person, whose family has allowed organ donation. Liver Transplant cost in India varies between different hospitals and it depends on various factors - like the condition of the liver that requires a transplant, the health tests, hospital accommodation for both donor and recipient, the medication etc. There are various diseases responsible for the deteriorating condition of the liver that can lead to a liver transplantation. The most common condition when a liver transplant is needed is the cirrhosis of the liver. In this condition, the healthy tissue was replaced by scar tissue and thus causing partial blockage in the blood flow through the liver. Cirrhosis can be caused by excessive alcohol consumption, diseases like chronic viral Hepatitis B, C and D, hepatic tumor, acute liver failure, and metabolic as well as genetic disorder. According to the liver transplant surgeons in India, in children, it has been noticed that liver transplant in children is caused by Biliary Atresia, a rare case in infants where the bile duct between the liver and small intestine is absent. As a result, this obstructed bile, which could not pass due to blockage or absence of bile duct, leads to cirrhosis of the liver. If the situation remains undetected, it can lead to acute liver failure. However, the reason behind this situation is still unknown. If the deteriorating condition of liver is detected at an early stage, with a timely liver transplant, there is a high chance that patient will survive and return back to their normal life. However, if cancer in any other part of the body spread to the liver, then only liver transplant cannot save the patient. © 2019 www.livertransplantindia.com. All Rights Reserved.